Tonight on Showcase the town of Defiance has a new problem to deal with… Hell Bugs. I also like the fact that Nolan’s (Grant Bowler) own prejudices even regarding Irisa (Stephanie Leonidas) come into play, as he treats her as a human, thinking that whatever her condition or sickness is, that it’s something that’s wrong with her, something to be cured, like post traumatic stress, and not something that makes her unique. But it seems Irisa’s visions and the hell bugs have something in common. Someone is spraying attack pheromones on targets including McCawley’s (Graham Greene) daughter Christie (Nicole Munoz). This also leads to the Tarr family keeping a secret about Alak (Jesse Rath) and Christie from her father. We learn more about the Castithan species this episode, including that they never bathe alone, that some Irathients are gifted, and not just with knives. And that Nolan may have a hard time letting go of the woman he sees as his little girl. At its heart this story is about vengeance and land theft, common things from our current history. It also has a little bit of Aliens thrown into it for good measure as we learn the only way to truly stop Hell Bugs, is to go after the matron. I love the fact that from the get go the cultures and the characters were fully realized. Yes, I expect some of the characters to change dramatically over the course of a season, but each of them was fully formed at the series start. As simple asides, I love Irisa training in the morning with her knife, and keeping the peace in the market place. 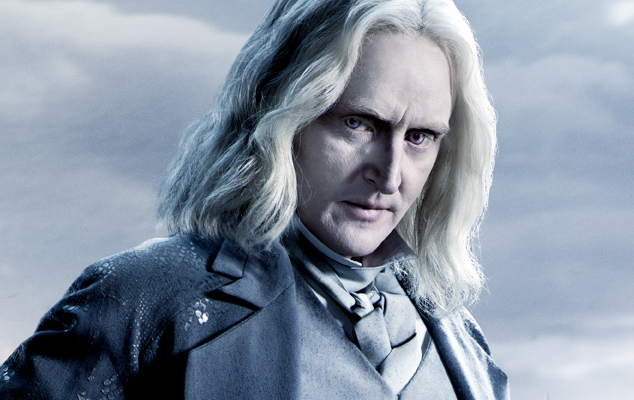 I love Kenya’s (Mia Kirshner) scene with the frying pan, and watching the clock at the same time, I love Christie facing the Hell Bug, and Datak’s (Tony Curran) Castithan comments during dinner, I love Irisa identifying the first victim as a male, and seeing Nolan and Tommy’s (Dewshane Willilams) reaction. The climax felt a little off to me, and was perhaps too easily reached, but that didn’t make me like it any less. I’m greatly enjoying this series so far, and loving the performances being turned in by all the actors involved. The amazing thing is that even the characters who are less than likable, I enjoy, I’m loving learning about the different cultures, how they are all trying to coexist, and how it’s not always easy. I hope the show will find a huge sci-fi audience and we can have years of this show to come. What have you thought of the series so far? What do you want to see more of? Who’s your favorite character? What about favorite alien race featured in the series? 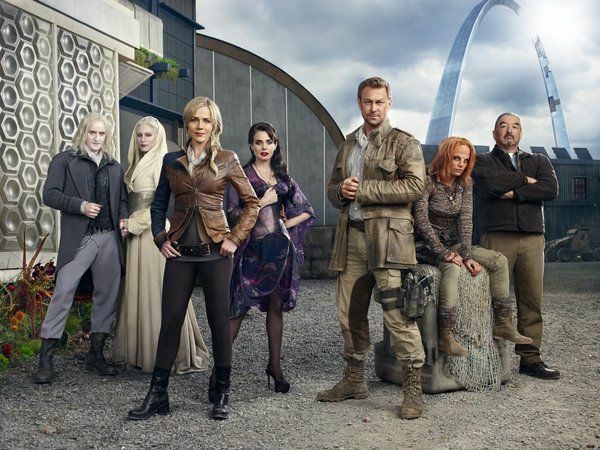 Defiance airs Monday nights on Showcase… WATCH IT!